Accent Fuels was established as an agent for The American Oil Company in June of 1964, in Punxsutawney PA. It was incorporated in 1976 in Homer City PA currently its present home. We service residential, commercial, and the farming community in and around Indiana county. 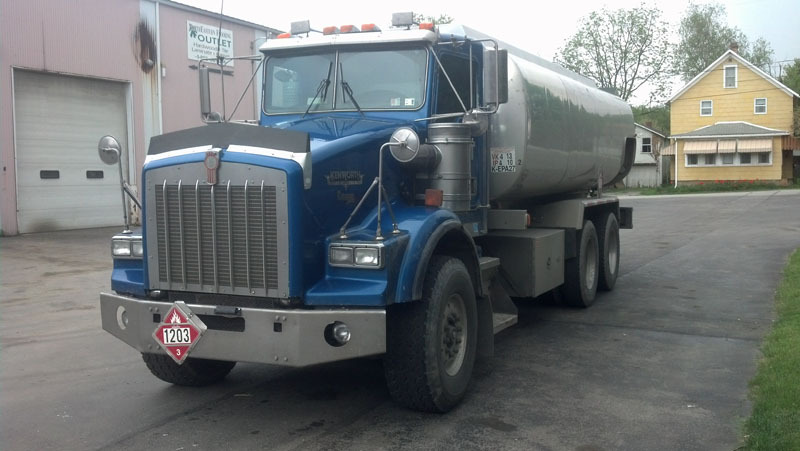 We supply gasoline, home heating fuels, and commercial diesel fuel. We have a fleet of trucks for small deliveries to tractor trailer load deliveries of products. We maintain a Pennsylvania PUC authority to handle freight deliveries for other companies. The staff is trained in all current safety training that includes OSHA, MSHA, ISNetworld, and all hazardous training pertaining to petroleum transportation. Accent Fuels built its reputation delivering products to the farming community at equitable prices and efficient delivery, branching into the mining and natural gas exploration. Throughout the years it serviced as many as 20 coal mining companies and 20 different drilling rigs. Still they maintain an active customer list of over 3500 home heating oil customers. Though we do not have a service department for servicing furnaces , we have several highly qualified companies we recommend to perform heating and air conditioning services.